I’ve taken a very long time to do a Face gym Pro review for a couple of reasons. It’s £399 and that made me just stare at it for a few week plus there was no stock for a while because it sold out so fast when it launched, even at the price. The Facegym Pro Device leaflet comes with so many warnings I thought perhaps I’d mistakenly been sent something nuclear. However, I think this is fairly standard for insurance reasons, particularly with electricals near the face or delicates. It’s quite an interesting looking thing– I have the yellow version (HERE) but it also comes in white (HERE) and grey and it’s really easy to use. 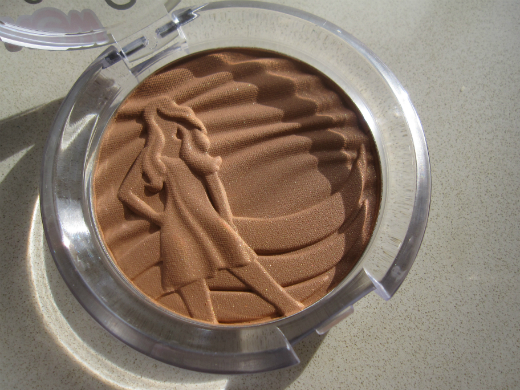 You’re given a face map of how to move the wand over your face for optimal results. 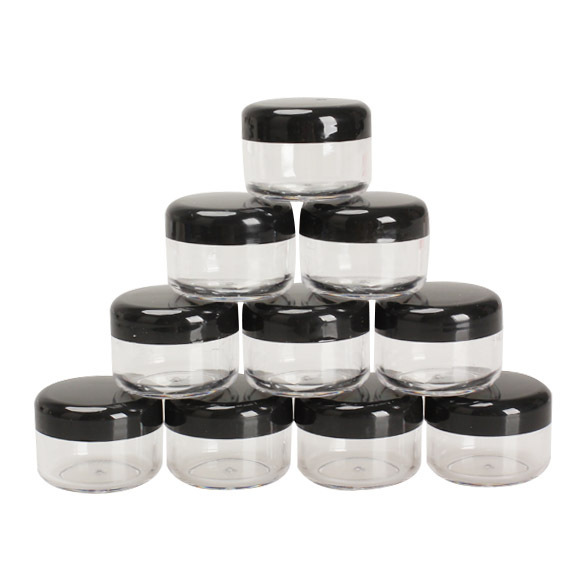 You absolutely must use the gel that comes with it otherwise nothing will happen – you will just feel like you’re pushing something heavy over your face. With the gel though, the Facegym Pro Device zings into action. And I use the word ‘zing’ because when it goes past a filling in your tooth, you do know about it! It feels like somewhere between pins and needles and (teeny weeny) electric shocks on your skin – I ramped mine up to full capacity – in for a penny and all that – the first time, but I lowered the intensity for a few times subsequently. It doesn’t hurt as such, but neither would I say it feels like a gentle massage on the skin. I know it can’t work without the gel, but the gel feels too thick to be nice for the skin and I’d have preferred something lighter feeling and more silky – and I suppose, more skincare-ish, although it was, apparently, formulated by a skin care expert and contains actives. 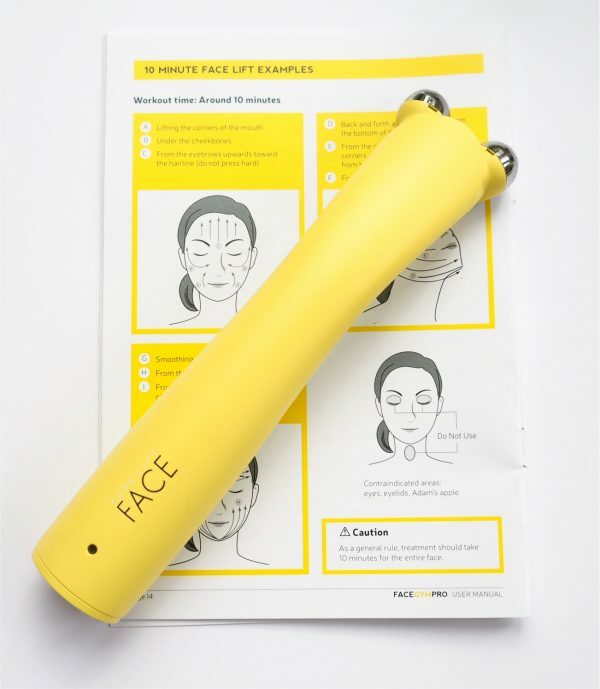 I’m not in any doubt that I could see a mild but temporary difference to the firmness of my skin, but personally, I don’t think it was dramatic enough to make the Facegym Pro Device my life-long buddy. It is quite a time commitment (each session is 10 minutes… but it does start to feel rather long) every day and consistency is key to real results. Just like muscles in the body, your 40 facial muscles need time to develop and firm. 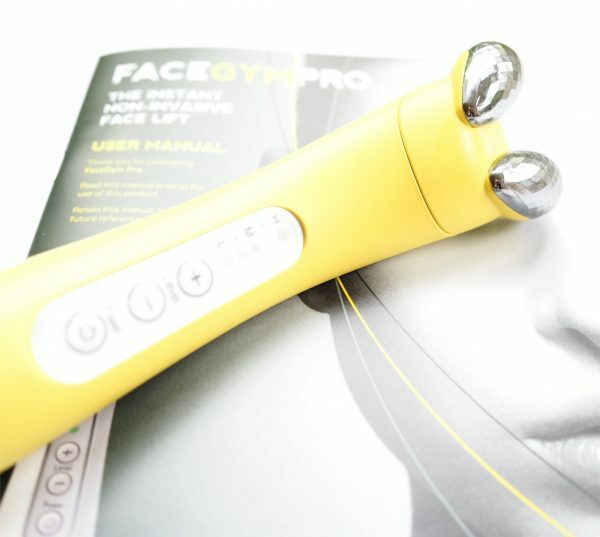 If you slip easily into a routine, have enough time to really commit to the gadget and are prepared to wait for results, I do feel that Facegym could give you the skin toning you really want in the end. My experience of it is too minimal to give a long term view and I didn’t get dramatic enough results in the first uses to make me think, wow, I really need this. BUT please bear in mind that I’m not a) that bothered about skin creases, and b) very gadget minded. In a way, I can’t really knock the price tag because it’s enough not to be a whim purchase and instead a very considered one. On the other hand, you could probably get a nice weekend away instead which would no doubt make you feel and look more perky as well! 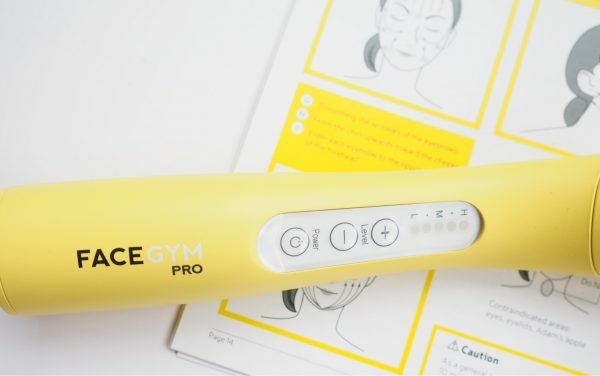 Checking around on the Facegym Pro wand website, I see they have several skin care options to go with the gadget but the Enriched Booster Cream is £390. Please be joking (they’re not joking)! A new bottle of Activator is £25 and I imagine you could quickly go through several bottles of this because you can’t be skimpy with it. I think whether to buy has to be down to whether you can keep up a regular routine and what budget you have to hand, because you’ll need to be strong on both! It’s not a miracle but more of an ‘improver’ and ultimately, you’ll be the one in charge of how much of an improvement you see. It’s HERE. 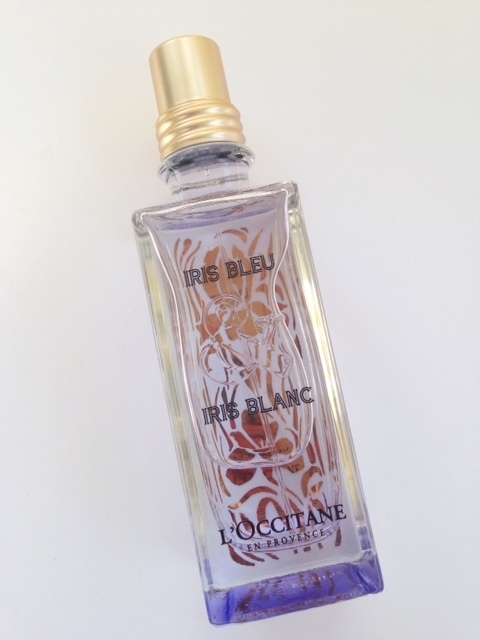 Loved this review – what a funky gadget! I have the LightStim LED facial light but I find I don’t use it regularly enough and already have a long skin care routine to get through every night. If I bought this gadget, it would probably collect dust in my drawer. I’ll stick with my retinol! This sounds like a home CACI. Skin really just needs to be damp to enable the current to travel, although firming actives sound nice as they’ll be pushed into the skin. Wow! Who’s getting the benefit of that rather astonishing Skimlink- Blush & Pearls or BBB? It’s clearly stated Esther that I sometimes use affiliate links. It’s not a secret or a sly move. Bore off Catinthehat, if you don’t like full-time bloggers who make money from their blogs either don’t read their stuff or set up your own hobby blog.